No one should suffer through these stressful times alone. 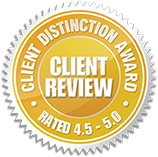 Contact Coeur d’Alene personal injury attorney at Russell & Hill, PLLC, today for a free consultation. At Russell & Hill, PLLC, our wide range of legal services are open to Coeur d’Alene residents. We represent you in several areas of personal injury claims and accidents stemming from car, truck, bike, construction site, motorcycle, pedestrian, slip and fall, wrongful death, and premises liability incidents. 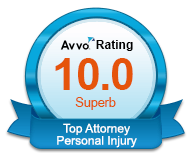 Our experience in personal injury matters includes cases from hundreds of clients throughout the region. If you sustained an injury in an auto accident at the fault of another driver, get help from one of our Coeur d’Alene car accident attorneys for an expert opinion and representation. You can recover losses from your injury, your damaged vehicle, and more as a result of another driver’s negligence. 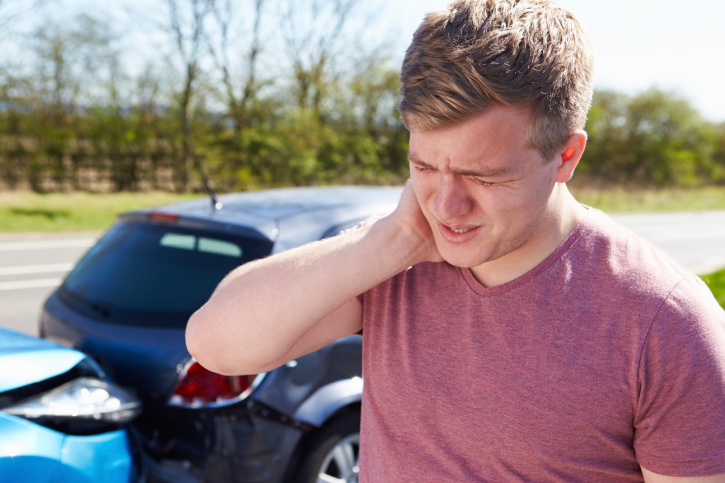 If you or your family face severe injuries from an auto accident in Cour d’Alene, you need answers. Or if you’ve experienced substantial property loss as a result of an auto accident, you deserve financial recompense. Fill out a vehicle accident consultation form to learn about your options. Have you been injured in a bicycle incident? If so, you may qualify for representation in a case against the negligent party at fault. Our experienced and aggressive attorneys can advocate for your side in a case involving your accident. There are often a lot of big issues when it comes to piecing together a bike incident. Even with a helmet on, your injuries may be severe enough to lose a lot of work. Plus, you have piles of medical bills that necessitate proper legal counsel to get you the protection and financial stability that you deserve. If you’ve been the victim of, or otherwise involved in, a commercial trucking accident, our attorneys are able to get you the best possible result for your situation. Trucking accidents are often much more dangerous and damaging than the typical traffic incident. Trucking companies and their insurance companies bring a lot of financial backing to bear on these cases. Therefore, you have much more at stake when it comes to commercial trucking accidents. From tired and distracted drivers behind the wheel to poor driver training or dangerous materials involved in an accident, you may have a case against the individual truck driver or the trucking company. Construction site accidents can cause serious injury and cost you a lot of money. We want to help you recoup the extra costs incurred by medical bills, rehabilitation, and other damages you may incur. If you are the victim of a construction site accident, you may be eligible for third-party claims related to your accident. We can check if negligence on the part of a general contractor, a defective piece of machinery, or an individual other than your employer is to blame. You may be able to file a personal injury claim against that person in addition to your regular workers’ compensation claim. Motorcycle accidents are incredibly dangerous and lead to far more debilitating injuries than other types of accidents. With almost no protection for the motorcycle, collisions may throw riders from their bikes into direct traffic. Injuries from motorcycle accidents often result in permanent injuries. 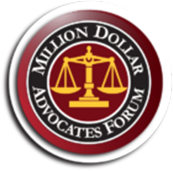 You may face a disability and vocational rehabilitation. Russell & Hill attorneys are committed to getting answers and monetary awards for the victims of motorcycle accidents. Pedestrians are defenseless victims in accidents that involve automobiles. Pedestrian accidents may lead to serious, even devastating injuries or loss of life. You may have major medical expenses and lost time from work after a pedestrian accident. The last thing you need to worry about is who’s going to cover these costs. At Russell & Hill, PLLC, our attorneys can help find the right accident investigators to perform a complete analysis of your accident, and health experts to determine the extent of your injuries. Together, we will determine the extent of your damage and fight for recompense. Slips and falls can lead to serious injuries and lost time from work. If your incident occurred as the result of an improperly treated wintery sidewalk or otherwise neglected property, you may be entitled to a monetary award. We can work with you to determine if a property owner is liable for your slip or fall. Then we get the financial resources that you require to work through your resulting injury. Call our slip and fall experts to learn more about your rights. Wrongful death cases are the most heartbreaking personal injury losses of all. Losing a loved one is hard enough. Then you find out that your loved one’s death could have been avoided if a person had acted differently or made better choices. If an accident that took the life of a loved one is the result of negligence by another party, you deserve compensation. Our attorneys can help you work through the missing pieces to figure out who’s at fault for the wrongful death of a loved one. If you sustained an injury on someone else’s property as a result of the owner’s negligence, you should investigate for a monetary award. The at-fault party should cover money related to injuries, lost time from work and continuing rehabilitation. Our attorneys can advocate for your rights and options in the wake of a premises liability incident that results in injury. No one should suffer through these stressful times alone. Contact us at Russell & Hill, PLLC, today for a free consultation regarding any of these types of situations.